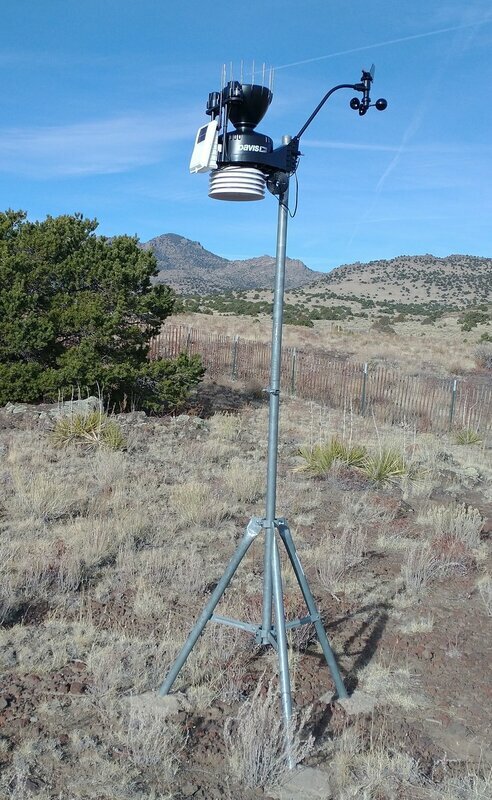 This weather station is on Lot 3 in the Ghost Mine Ranch subdivision, 8 miles due north of Del Norte on the west side of the San Luis Valley in Colorado. 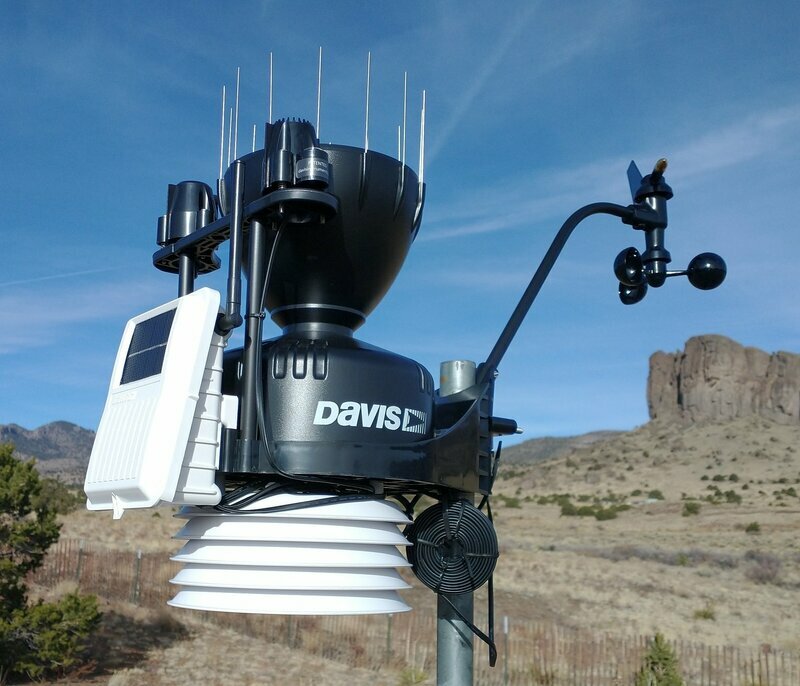 The weather station is a Davis Instruments wireless Vantage Pro with a standard radiation shield. The picture above is of the Integrated Sensor Suite (ISS). The black cylinder in the picture is the rain gauge collector. The temperature and humidity sensor are in the white radiation shield beneath the rain collector. The anemometer and wind vane are on the boom to the left. The optional solar radiation sensor is up on the platform to the right of the rain collector. Davis states that the accuracy is ±1 F for temperature, ±3% for outside relative humidity, ±1 mb in pressure, 0.01 inch for rainfall (one tip of bucket), ±2 mph for wind speed, and ±5% for solar radiation (with up to ±2% drift per year). An indoor console receives the data from the ISS via a 916 MHz radio link. The console measures the barometric pressure, and the indoor temperature and humidity. A data logger attached to the console saves the data. A Windows computer downloads the data from the logger with Davis WeatherLink software, and sends the data over a 5.8 GHz wireless internet link to the server computer. A shell script on the server computer makes the graphs, collects the statistics, and formats the web page.